Fibre4TV has an ever-increasing stock of over 30km’s of Singlemode & Multimode fibre cable, all terminated and ready to use. 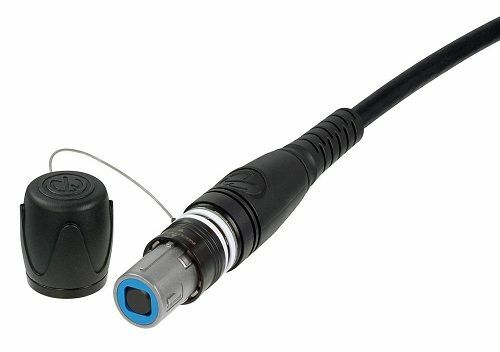 With either Delphi plug on Telecast SM, MD & XL reels or MiB Skeleton reels, Neutrik's range of opticalCon DUO and QUAD connector or standard ST connector in a protective sock. If you can't see it here it doesn't mean we won't make it for you and add it to our hire stock, so please call. 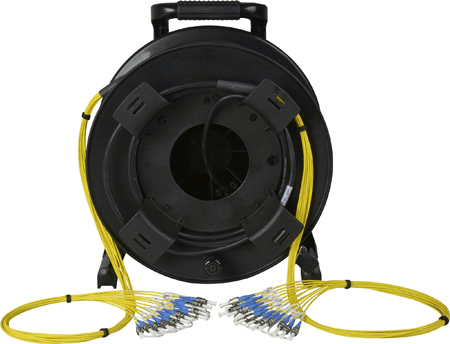 "If you need fibre kit to go with the cable check Fibre4TV's sister company MiBroadcast's Hire page here"
Our Tac–4–HD four fibre heavy–duty cable is 6mm OD and weighs only 12kgs per 300m. As well as non–corroding, it has military tactical design that is flexible in cold weather and has electrical isolation. All cables come terminated with hermaphroditic connectors, the industry standard for fibre optic communications in harsh environments. The opticalCON system guarantees a safe, dust protected and rugged connection. OpticalCON DUO, in singlemode or multimode, is the ideal solution for equipment that only requires 1 or 2 fibres and for applications that have a tighter budget. 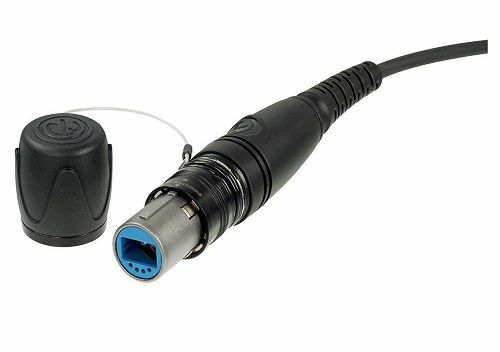 System integration offers LC compatibility on chassis connector front and rear. Our TAC4 fibre cable is all terminated in standard ST connectors both ends. It comes with pulling socks for easy and safe rigging and on a standard OB fibre drum. The simplest option for requirements needing multiple cores over long distances. Our TAC12 fibre cable is all terminated in standard ST connectors both ends. It comes with pulling socks for easy and safe rigging and on a standard OB fibre drum. © Copyright 2019 Fibre4TV Ltd. All rights reserved. Reproduction of this Web site, in whole or in part, in any form or medium without express written permission from Fibre4TV Limited is prohibited.